Victoria loses 2-1 to Portland; returns home next Friday & Saturday. 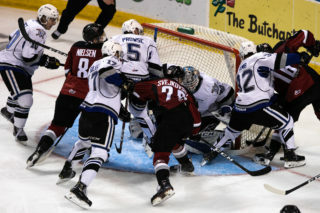 Portland, OR – The Victoria Royals scored once in the third period, but were unable to complete the comeback as they were defeated 2-1 by the Portland Winterhawks on Saturday night. Royals – Dino Kambeitz 1g-0a, Igor Martynov 0g-1a, Mitchell Prowse 0g-1a. Portland – Joachim Blichfeld 1g-1a, Cody Glass 0g-2a, Cross Hanas 1g-0a (Game Winner), Jared Freadrich 0g-1a. 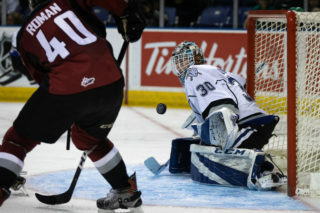 Royals – Griffen Outhouse (L) – 56:38 mins, 36 saves on 38 shots. Portland – Shane Farkas (W) – 60:00 mins, 34 saves on 35 shots. Potent Powerplay: After scoring on the man-advantage tonight, the Royals have collected a powerplay goal in each of last four road games this season. Victoria holds a mark of 6/16=37.5% on the man-advantage, which is good for the top powerplay in the WHL. CIBC Canada Russia Series: This week, Royals’ defenceman Scott Walford and Winterhawks’ forward Cody Glass will represent Team WHL in the CIBC Canada Russia series. 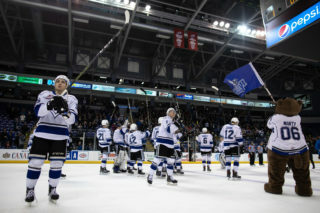 This will mark the sixth time that a Victoria Royals’ player has participated in the event. Other players who have played in the match-up include Matthew Phillips (2017-18), Tyler Soy (2016-17), Joe Hicketts (2014-16), Steven Hodges (2012-13), and Kevin Sundher (2011-12). 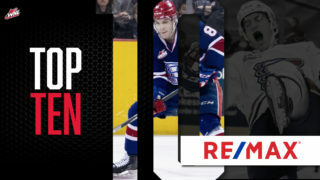 A Familiar Face: With his assist tonight, Portland defenceman Jared Freadrich recorded his second point of the weekend series against his former team. 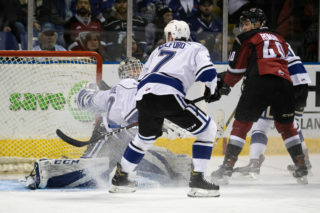 Freadrich collected 32 points (12g-20a) in 71 games for the Victoria Royals last season. 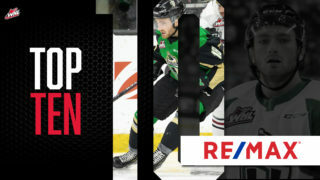 Powerplay Maestro: Portland Winterhawks’ forward Cody Glass is leading the WHL in powerplay assists with 12. In 14 games this season, the Las Vegas Golden Knights’ prospect has collected 29 points (6g-23a). Coming Up: Victoria will open a three game homestand with a weekend series against the Spokane Chiefs. The games will take place on Friday, November 9th and Saturday, November 10th at the Save on Foods Memorial Centre. Saturday’s contest is Canadian Forces appreciation night. Tickets can be purchased in person at the Select Your Tickets box office, over the phone by calling 250-220-7777, or online at www.selectyourtickets.com.